Our Adventure Dealers are the small, dedicated retailers that deliver the very best Outdoor Research experience imaginable. If you have any questions on the products you see on our site, want to try them on, or are looking to pick an expert’s brain on their favorite OR gear for your next trip, our Adventure Dealer team is here to help. Ascent Outdoors — Our story begins 22 years ago. Originally a second hand sporting goods store, Second Bounce slowly began bringing in more and more outdoor gear focused on activities such as backpacking, camping, climbing, backcountry skiing and biking. In 2001 Second Bounce moved to the current location in Ballard, ditched the "bouncing items", rebranded as Second Ascent, and became a full-service outdoor retail store with a full service bike shop selling new, used, closeouts & salesman samples. In April 2016 our bike shop moved 3 doors up the street under the name Ascent Cycles. In 2017, as we evolved to meet the demands, second hand had become a smaller, though no less important, part of our store. So, we then rebranded as Ascent Outdoors. We are committed to maintaining our footprint in the outdoor arena with a focus on the backcountry through sales of premium outdoors brands. With the help of our personable & knowledgeable staff, we will continue to be community driven: focused on supporting our customers with fun, educational events and fundraisers that support local organizations to keep our industry thriving. Our staff have hiked, biked, climbed and skied all over the world. We are consistently rated 4.5+ stars on Google and Yelp and have won many "best gear shop" awards over the years. We love our customers, our sports, and helping our customers get the equipment and advice they need." Backcountry North — Backcountry North is a local, family-owned Michigan outdoor retailer whose passion is to provide excellent customer experiences. Established in 1978, its first location was founded in downtown Traverse City, and this year - through the continued support of its community – Backcountry North is proud to be celebrating its 40th anniversary. Their goal is to outfit and inform both the novice and the well-traveled in their pursuit of memorable adventures on land and water, in the most fun and safe manner possible. Backcountry North is passionate about the outdoors, both locally and around the globe. No matter the outdoor pursuit, there is a piece of apparel or equipment that will allow for anyone, anywhere, to explore our world safely and have a remarkable time doing it. Backcountry North aims to be informative and educational with everything they do, while making sure that their customers are well-prepared for any adventure that they may embark on. Backcountry North supports Leave No Trace ethics, and regularly speaks to the importance of preserving the great outdoors for future generations. Backcountry North strives to be ambassadors for the outdoors in all its endeavors, but especially within its community. They work closely with various organizations to protect and promote the outdoors through environmental protection, outreach, and education. Some of the organizations they have worked with in the past are the VASA Ski Club, Boardman River Clean Sweep, FLOW (For Love Of Water), The Grand Traverse Regional Land Conservancy, The Boardman River Conservation District, and the Conservation Resource Alliance. The Backcountry North team lives vicariously through their customers, and often becomes s as excited about customer adventures as they do their own. Backcountry North has a passionate group of specialists that strives to ensure that every customer not only has a fun experience, but leaves with even more excitement. Backcountry Experience — Independent businesses are the heart and soul of Durango, CO. They give this mountain town its unique flavor and make our community anything but mainstream or generic. At Backcountry Experience we’ve embraced those qualities that set us apart from the big box outdoor retailers. From the squeaky wooden floors to the way our staff treats everyone like family, we believe that the experience of exploring an "old school" gear store is (almost) as much fun as playing outside. Our love of the outdoors fuels our selection of hiking, climbing, camping, backcountry skiing, and trail running equipment and apparel. We stock the gear you really need, not just the products we think will sell. On top of that, we get out there and practice what we preach. Our experienced climbers, thru-hikers, and ultrarunners on staff will help you find the gear you need for your next adventure. Black Creek Outfitters is a family-owned specialty outdoor retailer in Northeast Florida and has the reputation as the premier place for paddlesports as well as outdoor apparel & gear. The store originally started out as Windsurfing Orange Park, Inc. in December 1983 by Joe Butler Sr. and his wife Helen with an operation consisting of sailboard instruction and sales. In 1990, the shop expanded into the traditional outdoor specialty with an emphasis on kayaking, backpacking, and climbing. Black Creek expanded to the current outdoor lakeside location in Jacksonville of 1997 and now includes a wide range of gear, apparel, footwear, kayaks, standup paddle boards, car racks and accessories addressing year-round outdoor activities and adventure travel. Our emphasis is on your outdoor experience, with experts in every category we service let us make sure you get the gear you need to enjoy the outdoors whether it is in Florida or around the world. Campers Village — For over 50 years, we’ve been supplying adventurous Albertans with the gear you need to make the most of your time outdoors. Like you, we’re outside as much as possible, and we understand that fresh air and exercise aren’t the only reasons to go. Outdoor activities are essential to recharging your mind, nourishing your soul, and lifting your spirit. Sharing experiences outdoors also helps us all reconnect — with nature and each other — one unforgettable moment at a time. Curiosity, caring, and integrity are the three pillars of how we try to enrich the physical and spiritual well-being of our customers. And we’re proud to help you keep warm, dry, and comfortable every step of the way. Erehwon Mountain Outfitter — At Erehwon, our goal is to make your journey fun, rewarding, comfortable and safe by offering you the right product with the right advice. From the backyard to the backcountry, we’re here to provide you with the newest and most innovative gear and clothing on the market to help you live the outdoor lifestyle you crave. From yoga to running to mountain climbing—the peace and rejuvenation we get from nature is what awakens us. That’s why we only supply products and expert advice that we’d recommend to our own friends and family—giving you the most successful adventure possible. Latulippe — Latulippe is the store for outdoors, hunting, fishing, boating, snowmobile and workwear enthusiasts in Canada. You will find among us thousands of items at unbeatable prices and a wide range of brands. In our stores, more than 230 specialists are at your disposal to give advice and help you get the most out of your equipment. Here you will find hunting and fishing products, outdoor clothing, camping accessories, workwear, safety articles, sports shoes, safety boots and much more. Our Mission: To offer the best selection of products in our fields of activity to our customers at the best prices while offering outstanding service. We are constantly on the lookout for new products from our suppliers and for new ways to serve and satisfy our customers. Mountain High Outfitters — Mountain High Outfitters is more than a traditional outdoor retailer. Entering any store you'll notice a vast array of products and brands that create a compelling story for any patron. 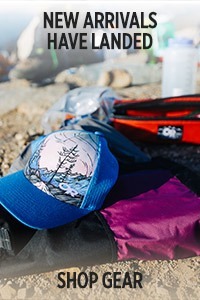 The selection of gear and footwear is just as pronounced as apparel, with products for activities like backpacking, bouldering, camping, caving, climbing, hiking, biking, yoga, skiing, trail running, slack lining, paddle boarding, fly fishing, as well as trips to the lake and beach, or even to your everyday coffee shop. MHO can outfit all your everyday lifestyle needs. Mountain High Outfitters prides itself on having knowledgeable and seasoned staff, making it an ideal place to prepare for your first adventure, expedition or lifestyle experience. Community Building a community is on the forefront of MHO's movement. Whether it's in the stores, at school or church events, trail races or SUP races, community involvement is an important part of the MHO culture. 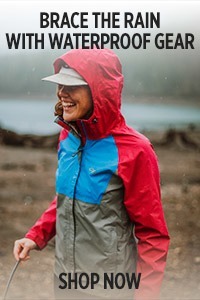 Currently with eleven locations throughout Alabama, Georgia, and Tennessee & online at mountainhighoutfitters.com, MHO is the ultimate active lifestyle boutique. Come experience MHO and be a part of the movement. Outdoor Gear Exchange — We are Outdoor Gear Exchange (OGE), located on Church Street in beautiful Burlington, Vermont and online at gearX. Our mission is to sell great gear at great prices. We believe everyone should be able to get out and have fun - that is why we pride ourselves on offering the widest selection of gear at every price point possible! Smart buying and over 20 years in the outdoor industry allows us to offer the best deals possible on a fabulous selection of gear for camping, hiking, backpacking, rock climbing, ice climbing, mountaineering, telemark skiing, alpine & alpine touring (AT skiing), snowboarding, nordic skiing, biking, kayaking, canoeing, adventure travel and yoga. We also have a fantastic selection of footwear and apparel from casual to technical. If you find yourself in town make sure to stop by for a visit. River Sports Outfitters — River Sports Outfitters is an independent outdoor specialty retailer in Knoxville, Tennessee. Ed McAlister officially opened the shop in 1983 and catered to the needs of paddling enthusiasts in East TN and beyond. Since then, the business has grown and has become a one-stop source for local and online customers looking for the best in paddle sports gear, road / mountain biking, road / trail running, camping / backpacking, and rock climbing. By focusing on core brands such as Outdoor Research, River Sports has carved a niche as the destination of choice for outdoor enthusiasts who want to "Live Their Passion". Robinson’s Outdoor Store — Robinson’s Outdoor Store has a proud 89-year history as a local, family-owned business, but its success is due to the three generations who have steered it—founder George, his son’s Gordon and Doug and Doug’s daughter Gayle—always looking forward. What started as a bicycle sales/repair shop in 1929 has become the premier source for outdoor gear on Vancouver Island. You’ll find the best brands and a friendly, knowledgeable staff to help outfit you for any adventure—from a backpacking trek through South America to a fly-fishing expedition a on crystal clear B.C. salmon stream. Rock/Creek — Rock/Creek is a specialty outdoor retailer based in Chattanooga, Tennessee with over 30 years of brick and mortar experience. With a dedicated staff of outdoor enthusiasts and gear experts, Rock/Creek offers only the very best outdoor apparel and equipment in thoughtfully curated collections to ensure that you are comfortable and safe in the outdoors. As a leader in the outdoor industry and in the larger community, Rock/Creek uses outdoor retail as a platform to encourage outdoor recreation and environmental stewardship and to improve access to local wild spaces. 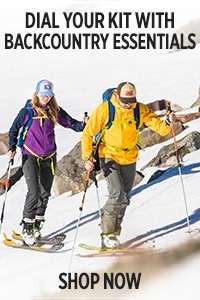 Summit Hut — The mission of the Summit Hut is to provide outstanding specialty outdoor products and services for our customers in a manner of superior value, service, and merit. In February of 2011, Dave sold Summit Hut to long-time employee, Dana Davis and her husband Jeremy. Dana came to the Summit Hut in 1998 and has been instrumental in Summit Hut's growth. She has been the General Manager since 2006 and previously held various roles, including Store Manager, Product Buyer and Director of Retail Sales. The small-scale business Dave began at the age of fifteen now engages the efforts and loyal patronage of communities extending far beyond those humble beginnings. The integrated Summit Hut mail order business, internet business, and two Tucson retail store locations work collectively with the cooperation of our esteemed vendors to provide advice and equipment to people across the United States and around the globe. For 50 years Summit Hut, Ltd. has enjoyed the pleasure of outfitting the community and visitors of Tucson, Arizona with services and merchandise to suit their unique outdoor and travel endeavors. We are proud to offer what we consider to be the very finest of gear and resources for climbing, mountaineering, backpacking, camping, hiking, trekking, travel, birding, search and rescue, trail running, navigation, orienteering, and much more. Through our website we have been able to transcend our geographical boundaries and extend the outstanding customer services of our Tucson-based, family owned business to you wherever you might be in this grand, fascinating world we share. Uncle Dan's Outdoor Store — Our adventure began in 1972 with a simple goal: help outfit the great people of Chicago to explore the outdoors. What was once a small army navy surplus shop has grown to become so much more. We believe in carrying the best products, hiring passionate people and treating you as more than a customer, but as our neighbor and our friend. Whether it’s navigating cold winters, camping in the mountains, or backpacking through Europe, Uncle Dan’s Outfitters is for everyone. Whole Earth Provision Co. — Whole Earth is a family owned business based in Texas with eight stores in five cities: Austin, Dallas, Houston, San Antonio and Southlake. Whole Earth Provision Co. strives to offer clothing, footwear and gear of all kinds that complement and enhance your life at home, work, and school, on the trail, and traveling near and far. Our almost 50 years in business shows in our stores and online. You’ll find our merchandise is carefully chosen with quality, practicality and innovation in mind, based on our many years of experience using and selling iconic and classic brands, as well as introducing new brands and items worthy of your attention. Our stores are filled with exciting and eclectic merchandise displayed in a fun, laid back environment with our knowledgeable and friendly sales staff at hand ready to offer information or advice should you need it. 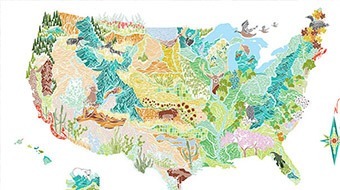 A Whole Earth store is much more than just a shopping destination, it’s a fun experience!